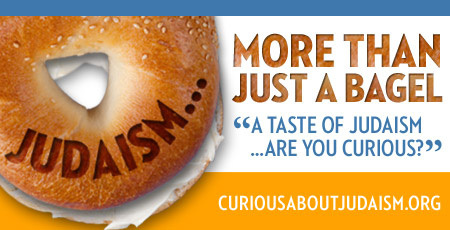 Judaism…More than Just a Bagel! Don't know much about Judaism? Want to learn more? Join us for A Taste of Judaism… Are You Curious? A series of three FREE weekly classes that cover the modern Jewish take on spirituality, values, and community. The classes are vibrant; our teachers are well-informed, friendly and convivial; the atmosphere is welcoming, fun and entertaining. And you don't have to be Jewish to attend. Everyone is welcome. Just pick a neighborhood and evening of the week that works for you. Learn more and reserve your seat.